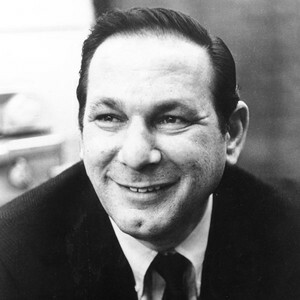 Hal David, who contributed lyrics to songs in three James Bond movies, died on Sept. 1 at age 91. He’s not really remembered for his 007 contributions because he wrote lyrics to many popular songs, especially in collaboration with Burt Bacharach. But he merits mention for his Bond film work also. The 1967 Casino Royale spoof produced by Charles K. Feldman is an uneven movie. Still, Bacharach’s score and the songs he did with David were a highlight, especially “The Look of Love” performed by Dusty Springfield. David went on to work two times on the Eon Productions series, collaborating with John Barry on songs for 1969’s On Her Majesty’s Secret Service. The main Barry-David offering was “We Have All the Time in the World” performed by Louis Armstrong. A decade later, David worked with Barry one more time on the title song of 1979’s Moonraker, whose title song would be the third, and final, performance by Shirley Bassey in a James Bond movie. Both “The Look of Love” and “We Have All the Time in the World” are memorable (the latter revived many years later for a beer commercial). “Moonraker” doesn’t get the kudos of other Bond title songs but it’s still a collaboration of three highly professional individuals in composer Barry, lyricist David and singer Bassey. It should also be noted that David’s older brother Mack (1912-1993) also dabbled in the spy genre, writing lyrics for songs in two Matt Helm movies, The Silencers and The Wrecking Crew. 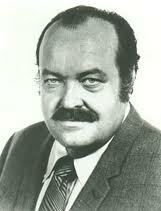 Mack David also co-wrote the title song to 77 Sunset Strip and other Warner Bros. television shows. 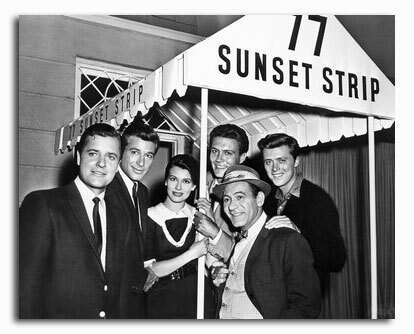 A cast shot of 77 Sunset Strip. All except Efrem Zimbalist Jr., would be gone for the sixth season. 77 Sunset Strip is one of those shows that, despite being popular in its time, doesn’t strike a chord with a lot of people today. It was one of Warner Bros.’s first hits on television and spawned three similar detective shows (Bourbon Street Beat, Hawaiian Eye and Surfside 6). Even more obscure is 77’s final season, which did a drastic makeover and began with an experiment of producing film noir for television. A new producing team of Jack Webb (yes, that Jack Webb) and William Conrad (yes, that William Conrad) fired the entire cast except for star Efrem Zimbalist Jr. The actor’s Stuart Bailey character was now a hard-boiled, lone wolf private eye worried about paying his rent. The catchy Mack David-Jerry Livingston song was gone as well, replaced by an instrumental by Bob Thompson. To kick off the new format, Webb and Conrad began with a five-part episode simply titled “5,” written by Harry Essex and directed by Conrad. The producer-director also made a cameo toward the end of the conclusion. The show enlisted a large roster of guest stars. Some were key characters in the story, others eccentric cameo roles. The group included two actors who either had or would play James Bond villains (Peter Lorre and Telly Savalas) and others who’d play villains on the ABC Batman show (Burgess Meredith, Cesar Romero, Walter Slezak and Victor Buono). And being a 1960s event, of a sort, it wouldn’t be complete without William Shatner in the mix. Anyway, “5” recent showed up online (but unofficially). 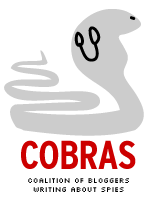 It comes across as very ambitious for its time with some attempts at innovation but with some flaws as well. Negatives: At the start of the final part, the story runs out of a gas a bit and there’s a long recap of the first four installments. Also, it seems improbable that Bailey would lug a big 1963 tape recorder around. The tape recorder is merely a device to justify first-person narration by Zimbalist. It might have been better to just go with the narration and not worry about the recorder. In any case, “5” nor the new format was a commercial success. Only 20 episodes were made at a time 30 or more episodes made up a full season. ABC showed reruns from previous seasons to fill out the 1963-64 season according to the show’s entry in Wikipedia. Still, “5” was an interesting experiment and fans of film noir ought to check it out as Stuart Bailey travels from Los Angeles to New York to Europe to Israel and back to New York on the marathon case. We’ve embedded part one below. If interested, you can also go to PART TWO, PART THREE, PART FOUR and THE CONCLUSION. Warning: you never know who long these things will stay on YouTube. This week was the 45th anniversary of The Silencers, the first of four Matt Helm films starring Dean Martin and arguably the most successful non-Bond spy series of the 1960s. Some of the film’s cast and crew had a shot at doing Bond movies but it didn’t happen. Studio Columbia Pictures had turned down Bond, with United Artists instead making a deal with Bond producers Albert R. Broccoli and Harry Saltzman; producer Irving Allen had been Broccoli’s partner but thought Ian Fleming’s 007 novels were terrible; 007 screenwriter Richard Maibaum suggested Victor Buono to play Goldfinger; some United Artists executive wanted Phil Karlson to direct Dr. No, but he had a $75,000 asking price while Terence Young would work for $40,000. Allen took Donald Hamilton’s serious novels and made them into spoofs, though the films did use some plot elements of Hamilton’s originals, particularly The Silencers. To get Dean Martin on board, Allen had to make him a partner. That’s why the films have a copyright notice reading “Meadway-Claude” — Claude was Martin’s production company. Below is the latter part of main titles of The Silencers, in which Cyd Charisse lipsynchs the title song performed by Vikki Carr and written by Elmer Berstein and Mack David. We wrap up our look at the titles of Matt Helm movies with a brief discussion of the series finale, The Wrecking Crew. To be honest, it’s a mixed bag. The visuals are much stronger than the series previous entry, The Ambushers. They’re at least based on something in the movie, a bank of monitors used by the villain to watch his plans unfold. Wayne Fitzgerald designed the titles and used a combination of animation and clips from the movie. There’s a few subtle touches. Actor Nigel Green’s monitor is colored, well, green. Accompanying the visuals is a weird song, The House of Seven Joys, which is also referenced in the movie. Producer Irving Allen, Cubby Broccoli’s ex-partner, hired Mack David to do the lyrics, a task David also did for the first Helm movie, The Silencers. Composer Frank DeVol does the music, but only for the song. Hugo Montenegro, returned as the film’s composer but got frozen out of the title song. In any event, The House of Seven Joys is far from politically correct (“Ah so, very, very nice!”). We can only wonder what Helm creator Donald Hamilton thought (besides making sure all the checks cleared). You can take a look by clicking RIGHT HERE. Embedding was disabled. EXTRA BONUS: A few years later, Hamilton got some more checks when a short-lived Matt Helm TV series aired on ABC. Instead of Dean Martin, we got Tony Franciosa. Instead of a spy, Helm was a private detective. This was 1975 and in the post-Watergate world, spies seemed unseemingly. Here’s the titles to one episode, The music is by Morton Stevens, who also composed the theme to Hawaii Five-O.